Explanation: It was a clear, cold western Kentucky night on January 23rd as seasoned amateur astronomer Jay McNeil tried out his recently acquired 3-inch refracting telescope by imaging the area around a familiar object, the M78 reflection nebula in Orion. Days later while processing the images, he noted a substantial but totally unfamiliar nebulosity in the region! 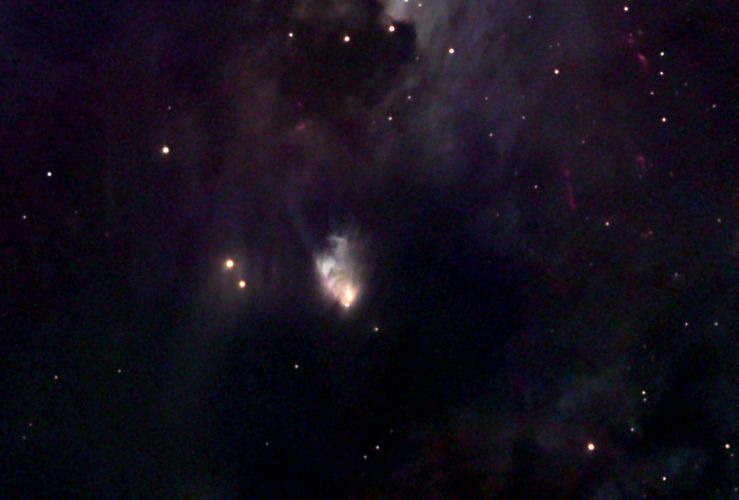 With a little help from his friends, his amazing discovery is now recognized as a newly visible reflection nebula surrounding a newborn star -- McNeil's Nebula. 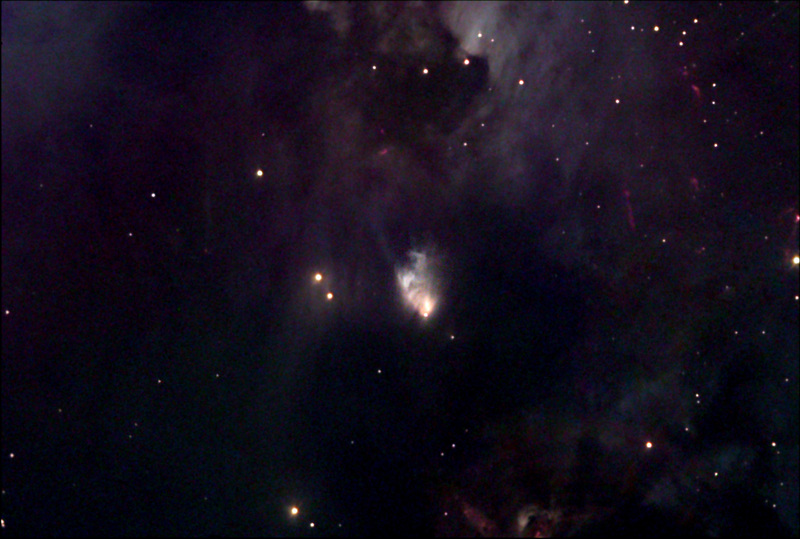 Pictured here at the center of this close-up, McNeil's Nebula with its illuminating young star at the tip, do not appear in images of the area before September 2003. The emergence of McNeil's Nebula is a rare event to witness and astronomers are eagerly following its development, but Orion will soon lie too close to the Sun in the sky, interrupting further observations for several months. The Orion nebula complex itself is around 1,500 light-years away. At that distance, the above image spans less than 10 light-years. Update (Feb. 19): While McNeil's Nebula was not seen on previous images, some dating back to 1951, it is reportedly apparent in an image of the region recorded in the mid-1960s and available on the SEDs web site. This would indicate that the intriguing reflection nebula and illuminating star are variable, rather than "newly" emerging.